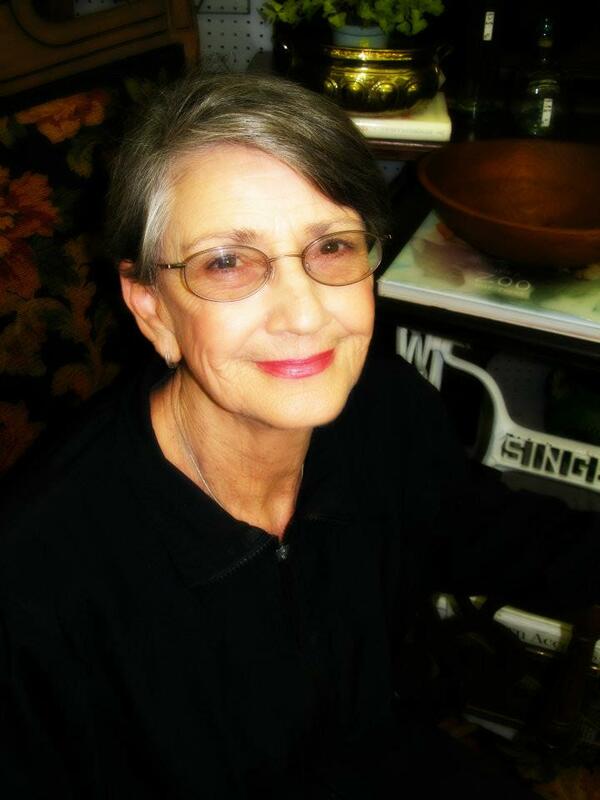 Our featured dealer at the River Store is Carolyn Hill a.k.a. CH32. Now that's a number many of you are familiar with. Carolyn's been a dealer from the beginning. She's quite a success too, selling an eclectic mix of unique's, collectibles and occasionally an oddity or two. One thing I admire is that she's a great merchandiser, always building a display that just draws you in and makes you want to look and then buy. It seems like there's a lot of "I can't live without that" in her booths. Carolyn is an extremely hard worker and treats her booths as a business, keeping them stocked and fresh at all times. She frequents the store more than a few times a week and I really admire her enthusiasm and dedication to her booth and River City. R: How long have you been a dealer at River City? CH: Oh gosh, Well....I've lived here 18 years . I would guess maybe 16. It's been a long time, let's put it that way. R: How does it feel being one of the TOP 3 dealers out of 300? CH: OMG, I didn't know I was! It makes me feel like I am good at something. Good at something besides tennis. R: What strategy advice would you give other dealers? CH: Well, mine is market reasonable. If you keep it too long, it piles up at home. I try to price it fair. R: Is it true that you had a date with Leon Russell back in High School? CH: Yes, LOL! We went to the movies and saw "Annie Mame". I was so embarrassed when Gooch came down the stairs pregnant. We were in the same Psychology class. Leon was very nice. R: How would you describe your style? CH: It's changed over the years. I started out contemporary. I went to country. Now I have more of a Mexican feel. Just color and things I love. I am afraid of color because if you use it wrong, it can make your house look cheap. I am more tailored. I don't like cutesy or frilly. R: You have a following at River City, with high volume sales and affordable pricing. What do you look for when you are out buying? CH: I love outdoor things. I love cement. My husband said, "One more cement piece and our marriage is over". I love primitive things too. R: What is your all time favorite song? R: You are a tennis star. What is your most memorable tennis moment? CH: I have gone to Nationals with a team. Tucson, Palm Springs, Phoenix. It's been fun being part of a team. I have been a line judge for the B.O.K. Classic. J.C. is a jerk and a smartallic. Gosh, it was abusive. R: What's the best part of being a dealer at River City? CH: It just always makes me feel good. You have upbeat music and I love the interaction between the people and the dealers. It's just a FUN place! R: What's your most favorite treasured piece? CH: It's a primitive cabinet that I found here at RCTP. I keep lights in it. My husband told me to get it. Heck, half my house is filled with River City and yard sales. Rick obviously didn't know what he had. J.K.
R: What's the one thing you purchased and regretted selling? CH: I can't really think of anything. There's always something interesting around the next corner. R: How long have you known your husband? CH: 53 years. We've been married for 52 years. We met at O.S.U. R: When you were a small child, did you like to rearrange and decorate? CH: Well, no, I just liked to play outside. My sister and I shared a room. We really didn't get a choice. I have always loved being outside. R: Your sister is a dealer here as well. Do you ever feel competition with each other? CH: Yes, quite a bit. We go on the hunt together every Saturday and we have fun. At times, we like and want the same things. I hope we never have a fight. This has given us a day to stay close and she is very important to me. She is my only sister. R: What time do you set your alarm to get up and out the door? CH: 5:00 a.m. during Springtime. I make my list and I'm out the door at 6:15 to be at the 7:00 o'clockers. I am not aggressive. I hate being rejected and people telling me we are not open yet.